Productivity growth is indeed slowing. Two essential questions about this problem are why and what can be done about it. One reason why is that productivity growth has been focused on making our military industrial complex more powerful, our corporate production more efficient and some investors richer, while ignoring the various economic steroids used to generate that increase in “productivity”: destruction of the natural environment, explosions in personal and government debt and debasement of our civic and cultural life and institutions. We are calculating output while ignoring what is happening in the planetary balance sheet. Official calculations of productivity growth also ignore the enormous sums of money, time, and energy being spent to control and destroy human productivity systematically – from the tactics of surveillance and disaster capitalism to “divide and conquer politics.” And let’s not forget the $40 trillion disappearing in the financial coup d’etat ending in the bailouts, more than $1 trillion spent annually on military and weaponry, as well as the explosion of prisons and funding for police states. Nor is “productivity growth” necessarily shared with the people who create it. Since 1948, while productivity growth in America has increased by 254%, labor hourly compensation has increased by merely 113% having essentially flat-lined since 1973. Is there human incentive to increase corporate productivity? There is not, because increasingly too many large institutions and businesses have a negative total economic return. At the heart of the matter – (1) we need to realign “return to shareholders” with “total economic return” in a manner that produces significantly more wealth. And (2) we need government finances to respect the laws and regulations related to financial management. Indeed, we have no choice now that the debt growth model is finished. We can’t use more government debt to fund corruption and the externalities of unsustainable behavior. 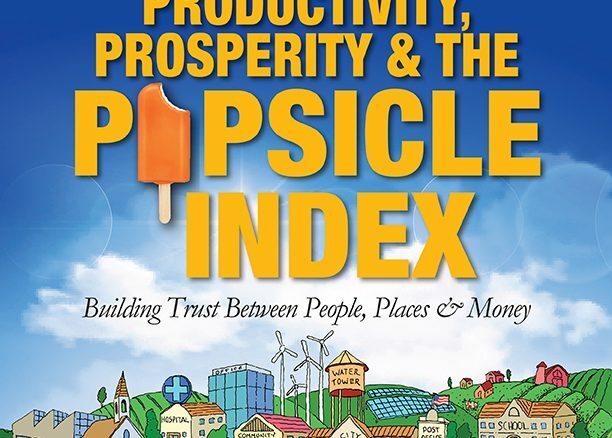 For the 2nd Quarter Wrap Up, Productivity, Prosperity & the Popsicle Index, I will review the existing discussion about stalling productivity growth. I will discuss how it relates to growing inequality, the insufficiency of retirement systems, and the explosive changes underway as a result of robotics and artificial intelligence. There are solutions, but they all require a clear picture of where we are now and our possible futures. Which means we need a way to see through and to reject the disinformation that corporate media and special interests are spinning. I will post my audio discussion from Zurich, Switzerland on Thursday. We will publish the written discussion in the Second Quarter Web Presentation in August after my return to the States. Whether you are one of those people who wants to “Make America Great Again,” or you live half way around the world from the United States and you want to make your town or country great too, this presentation has critical information to help your vision come true. There is no Money & Markets this week. Post and e-mail your questions and I will make sure to answer them in the first week of August.